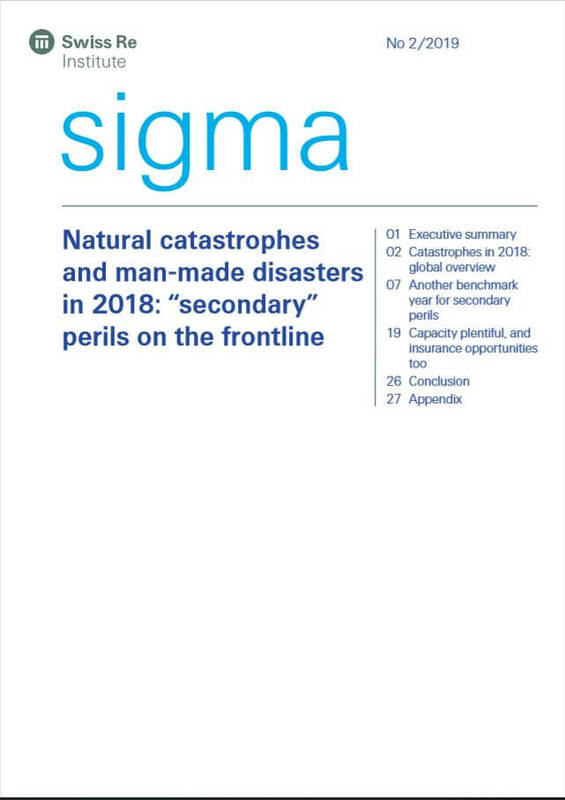 According to the report the catastrophe experience of 2018 reaffirms that the loss impact of secondary peril events is anything but “secondary”. Total economic losses from natural catastrophes and man-made disasters in 2018 were US$165 billion. Insurance covered US$85 billion of those losses, the fourth highest one-year aggregate industry payout ever, and above the previous 10-year annual average of US$71 billion. Of last year’s insured losses, US$76 billion were due to natural catastrophes and of those, more than 60% of claims were to help populations impacted by secondary peril events. Tragically, 13,500 people lost their lives in all catastrophes last year. Secondary perils can be independent small to mid-sized events, or secondary effects of a primary peril. Their associated losses have been rising due to rapid development in areas exposed to severe weather conditions. Swiss Re expects this trend to continue given ongoing urbanisation, growth in concentration of assets in exposed areas and long-term climate change projections. The world is warming up, leading to greater occurrences of extreme weather conditions and associated secondary perils (eg, drought and wildfires) and secondary-effect peril events (eg, torrential rains, storm surge-induced flooding). Read the report to find out more about these perils, the capacity that is available to cover them and the insurance opportunities out there.